Unless home-buyers are paying the entire purchase price in cash, real estate sales involve a home mortgage. Unfortunately, the process of arriving at a sale with mortgage is fairly complicated, title insurance for loans can be confusing, and even if the buyer has purchased real estate before, he/she can feel puzzled and lost. Here, then, is a guide to obtaining a mortgage loan and using it to buy a home. Before a potential buyer even starts looking at homes with a real estate agent, he/she should obtain a Pre-Qualification Letter from the lender. A Pre-Qualification Letter supplies the buyer with an estimate of what the monthly mortgage payments, down payment, and other loan terms will be. This information provides valuable guidance as the buyer considers properties he/she might purchase via a sale with a mortgage. It also assures sellers and real estate agents of the likelihood that the buyer will actually be able to close the transaction. Sometimes it is necessary for buyers to obtain multiple Pre-Qualification Letters from different lenders. This is particularly common with short sale and bank-owned real estate. Banks may want buyers to qualify with their preferred lenders, often representatives of the very banks that own the properties. That way, the banks earn back a small portion of their losses on foreclosed homes and short sales. It is also possible that the seller or listing agent feels more comfortable if the buyer has a recourse readily available should one lender decide not to cover the sale with the mortgage after all. Prequalification and looking into title insurance for loans can help make the process go more smoothly. What Do Lenders Consider When Issuing Pre-Qualification Letters? Lenders consider a diversity of information when deciding on pre-approval of a mortgage sale. They determine the borrower’s Debt-to-Income (DTI) Ratio. This is a measure of income in relation to monthly housing and credit liabilities. The lower the DTI, the more likely it is that the buyer will pay off his/her mortgage and make the mortgage payments on time. Lenders also consider Loan-to-Value (LTV) Ratio. This is a consideration of the outstanding loan amount in relation to the value of the real estate. Some lenders may require the borrower to buy mortgage insurance if the LTV exceeds 80%. Alternatively, the borrower can pay 20% of the mortgage up front. Thankfully, there are some government programs that help buyers secure financing for properties with high LTVs and that can help with title insurance for loans and approval assistance. This is one of the ways title sales with mortgage are made possible for more individuals. Naturally, lenders check a borrower’s credit when considering pre-approval for a title sale with mortgage. The better the credit score and the more trouble-free the credit history, the more likely the buyer is to pay back the mortgage loan without any problems. Lenders typically like to see multiple open lines of credit with at least two years of reporting history. Some, however, are open to considering alternative forms of credit. Lenders also look at the type of property the sale with mortgage involves. Due to HOA rules and requirements, government lending, the need for mortgage insurance, and appraisal requirements can vary depending on whether the buyer is acquiring a home, a commercial property, or an investment property. It is worthwhile to know that condominium purchases can come with special requirements. If the buyer is paying less than 25% upfront, the lender is likely to want to see the so-called condominium questionnaire. This is an evaluation of the financial stability and risk of a particular condominium building. It was created because most condominium mortgages are sold on the secondary market to the Federal National Mortgage Association (Fannie Mae) or to the Federal Home Loan Mortgage Association (Freddie Mac), both of which experienced major hits on condominiums in the last real estate crisis of the mid-2000s. Unfortunately, most condominium associations fail the condominium questionnaire, often because of too many rentals in the building or because of insufficient reserves. Even more unfortunately, the failure often does not come out until partially through the sale with mortgage process, when the buyer has already spent substantial money on the home inspection and the appraisal. To avoid such a situation, buyers may want to find a lender offering a loan product that provides for a limited review of the condominium questionnaire early on or who maintains a list of condominium buildings where loans have already been approved. 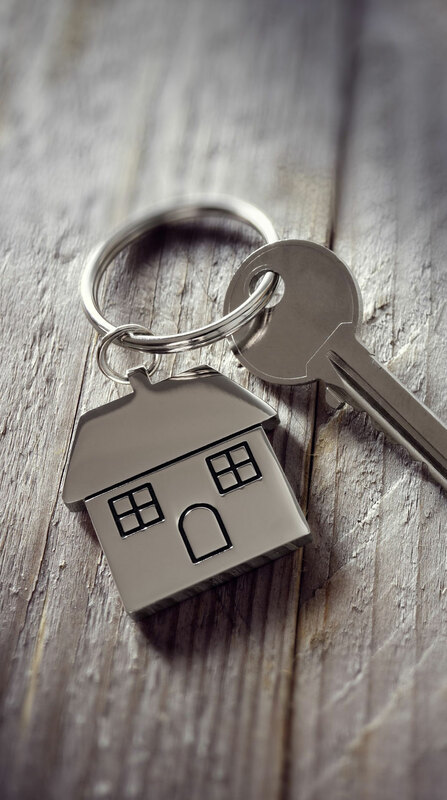 Would-be condominium buyers should also be aware that it is difficult to obtain Veterans Administration (VA) or Federal Housing Administration (FHA) loan approval for a condominium sale with mortgage in Florida. This is partly because the entire building has to be FHA-approved to qualify; the Department of Housing and Urban Development (HUD) changed the approval process after the last real estate crisis of the mid-2000s; and many building owners deemed it impractical to renew their certifications. Pre-approval for any property can also depend on the type of mortgage being sought. 100% financing, low down-payment possibilities, and rehabilitation loans (loans given to improve properties) all come with their own sets of requirements. Typically, knowledgeable loan officers can help borrowers find the particular mortgages that best suit their needs. Depending on the circumstances, government-insured loan insurance programs like VA, FHA, and United States Department of Agriculture (USDA) home loans exist to help the buyer, as do conventional and jumbo financing. Jumbo mortgages provide loans exceeding conventional conforming loan standards set by Fannie Mae and Freddie Mac. VA and FHA mortgages in particular can be beneficial for buyers who can make only a small down payment, but the homes must meet stringent criteria to qualify. Buyers may or may not need to sell their current homes before qualifying for a mortgage. It depends on whether the financial situation is such that the buyer can clearly afford both the old and new mortgage payments. If this is the case, selling the old home first is unnecessary. When deciding whether they can handle the expense, though, borrowers should consider the total costs of maintaining both homes. They need to budget for unexpected repairs, insurance, and property taxes as well as the mortgage payments. A proper Pre-Qualification Letter specifies the loan amount. It is important to note that this is what the lending institution will provide. It may or may not fit the borrower’s judgment as to what will produce a manageable mortgage payment. This is key to a successful transfer for title sales with mortgage. The Pre-Qualification Letter also sets forth the status and expiration dates. Typically, the letters expire 90 days after the credit report was obtained. If time runs out before a buyer finds a home to buy, he or she may have to re-submit information on the last 30 days of income and asset documents. A fresh credit report may be required as well. The lender may even need a new appraisal reflecting comparables over the 90-day period to help secure some sort of insurance for loans that have been applied for. It can be especially important to keep track of expiration dates in the case of foreclosed homes and short sales as these transactions, in particular, have the potential to go on for several months. Pre-Qualification Letters specify the type of mortgage. As noted above, this could be conventional, jumbo, USDA, VA, or FHA. The letters also classify occupancy according to the following categories: owner- occupied, secondary residence and investment. A Pre-Qualification naturally includes the lender’s contact information to facilitate communication. It also delineates funding and documentation requirements necessary for approval. A proper Pre-Qualification Letter specifies the loan amount. It is important to note that this is what the lending institution will provide. It may or may not fit the borrower’s judgment as to what will produce a manageable mortgage payment. The Pre-Qualification Letter also sets forth the status and expiration dates. Typically, the letters expire 90 days after the credit report was obtained. If time runs out before a buyer finds a home to buy, he or she may have to re-submit information on the last 30 days of income and asset documents. A fresh credit report may be required as well. The lender may even need a new appraisal reflecting comparables over the 90-day period. It can be especially important to keep track of expiration dates in the case of foreclosed homes and short sales as these transactions in particular have the potential to go on for several months. It is important to understand that a Pre-Qualification Letter represents a preliminary assessment and does not absolutely guarantee a mortgage. That guarantee essentially comes later in the process in the form of a Mortgage Approval Conditions List, and even then it is contingent upon the parties involved meeting the conditions set out in the letter. These two documents can differ because when preparing the latter, the lender takes a more detailed look at the buyer’s circumstances. Items like periods of unemployment, credit scores, residence status, changes in residence status, inaccuracies in tax returns, and troublesome aspects of bank statements all come under closer scrutiny, sometimes to the buyer’s detriment. There can also be problems relating to the appraisal of the property, an inspection report that does not pass muster, the transfer of the title, sales with mortgage , liens, an uncooperative seller, issues with title insurance for loans, and HOA disclosures. It is also possible that interests rate change and this in turn affects the DTI, the lender’s guidelines change, the lender simply goes out of business, or new Fair, Isaac and Company (FICO) score requirements are put in place. An individual’s FICO score is his/her credit score. Unfortunately, there is no way to completely safeguard against all of these eventualities. However, buyers can maximize their chances of avoiding problems by making sure all paperwork is processed as soon as possible and by keeping in touch with the mortgage approval team throughout the sale with mortgage process. What’s in Mortgage Approval Conditions Lists for Sales with Mortgages? In addition to all of the borrower-related conditions, the Mortgage Approval Conditions List sets forth the need for inspection clarifications, debates over appraisal value, purchase contract updates, and funding conditions. Once all of the requirements in the Mortgage Approval Conditions have been satisfied, the sale with mortgage can be concluded. Buyers should anticipate that the home will need to be inspected. If a home is 40 years old or older, homeowner’s insurance typically requires a 4-point inspection. The inspection assesses the condition of the roof, plumbing, and the electrical and heating and cooling systems. As a general rule, if something fails, it is repaired and re-inspected. If the seller is unwilling to undertake this, the buyer can occasionally get conditional insurance that includes deadlines for getting the work done after closing. It is more common, though, for the insurance company to refuse to insure the property. When this happens, the sale with mortgage cannot be perfected. It is important that buyers make sure that the 4-point inspection takes place during the inspection period specified in the purchase agreement. If it does not, they risk an escrow dispute. The seller may try to the escrow money by claiming the buyer defaulted on the contract. Mortgage approval may also require flood insurance. It depends on whether the property is located in a flood zone. Buyers should determine this early and obtain quotes on flood insurance if it’s necessary to avoid an unpleasant surprise later on. If they wait too late in the sale with mortgage process, they may discover that the additional cost of flood insurance makes the deal untenable for them but it is too late to withdraw without incurring a financial loss like forfeiting the escrow deposit. The title professionals at your Florida title insurance company – True Title – are ready, willing and able to assist you through this entire process. Call now to learn more about title sales with mortgage (877) 785-8792.